So you’re looking for something to help you dig holes. Well, you can buy any old spade or shovel–and you can surely get the job done with those. After all, how hard it can it be to secure fences, or signs, or clotheslines, or even plants and flowers and shrubs? If that’s the way you think you’d be surprised. Again, it’s true that you can, if you’re willing to make a thousand and one adjustments, use a regular old spade or shovel. But the fact is that that’s not the most efficient way to get what you need to be done. And for jobs like the few just mentioned, you need properly dug holes that can reasonably–nay, excellently–support posts. The only way you can guarantee such precision is by using equipment that’s designed specifically for that purpose. You need to use a post hole digger. A post hole digger is, as the name suggests, a specialized tool made for the explicit purpose of digging holes that adequately support posts. In certain scenarios, and for certain tasks, a post hole digger is vastly superior to shovels or spades or other digging tools. Why? Just think about it. Take a spade, for example–any spade. Imagine yourself trying to dig a post hole with one. Theoretically, you can do it, couldn’t you? But it’d be tough–the spade’s shape itself will cause you to dig much more than is needed, creating way too much space for the post to stand securely. So now you’ll have to toss some of the earth back into the hole and start beating it into place, to make the hole tighter, more secure. And all the while, you’ve been bending and straightening and flinging the earth this way and that, sweating and gritting your teeth against the pain and discomfort. In the end, after all of that, you still might not have a usable post hole. So what’s the point? Really, there is none–not unless you’re looking for a great work out. But if you’re looking instead for efficiency, consistency, and reliability, you’re going to want, or rather need a post hole digger. Now your problem boils down to just choosing one. There are plenty of options out there on the market. There are plenty of configurations, too, plenty of features, plenty of designs and looks and feels–that’s why it’s imperative to know what you need a post hole digger for before you buy one. Generally speaking, they’re not small investments. And the ones that are cheap are very basic tools, with a very basic design, made to do very basic things. This may be exactly what you need, but again, you have to know what you need. The following list has been compiled to make your life a little simpler; it has been compiled to help you to easily sort through the different features and uses of the ten best post hole diggers in the market today. Go through it carefully and pay attention–we’re certain that there’s something on this list for everyone. You just have to look. Number one is this a gas-powered beauty from XtremepowerUS. It features 2-stroke, air cool engine, a 55cc engine head, and has a rated output power of 1090W. And despite its power, it's relatively light, weighing only 25 pounds. Perfect for installing decks and fence posts, for planting shrubs and trees, and so much more. If you're a professional, or someone who's really hands-on with his or her own personal projects, then you'll appreciate the choices Xtremepower offers you. You can choose between the 4-inch, 6-inch, and the 10-inch bits--or you can take get all three at a reduced price. That way, you'll be prepared for anything. This will give you confidence that this post hole digger will last you a long time. If anything goes wrong with your engine, or if it fails, you'll be able to get replacements for it with ease. You can even keep an extra engine head in storage, to ensure you'll never be caught off guard, and to ensure your work never suffers even a moment's delay. When buying a product, the most important thing to consider--besides functionality--is the product's durability. That applies to any product. 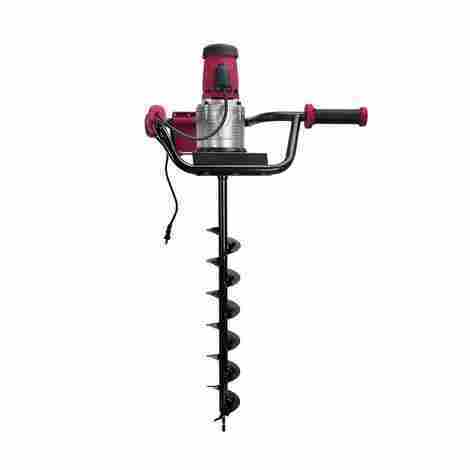 This post hole digger is quite expensive, but it's a quality buy, with various size and use options for you to choose from, and replacement parts are available for it. That means it's sure to last you a long time--and that's worth a lot. Maybe augers aren't your thing. You need more flexibility--and you're strong, so you're willing to sacrifice ease and comfort for a more affordable price. Well, number two on this list is an excellent manual post hole digger. The Fiskars 60 inch Steel Post Hold digger has a blade spread of 6 and a half inches and sturdy offset handles to allow you to dig farther than comparable products. In addition, the blades are sharpened to allow you to dig deeper holes in even in the toughest soil. This post hole digger by Fiskars features welded 14-gauge blades made of steel, as well as 16-gauge steel shafts. This promotes durability and longevity--it's sure to outlast post hole diggers with wood construction. It also offers more stability than post hole diggers constructed with fiberglass, which tends to flex. Almost every manufacturer of every product lauds their product as the best thing to hit the planet since sliced bread. It's not always easy to differentiate the liars from the honest. But if a company so believes in their product--as Fiskars does with their post hole digger--that they offer a lifetime warranty, then you know there must be something to it. If you're looking to do some work around the house--if you're looking to put up a fence around your yard, for example--then you should take a serious look at this particular post hole digger. It's inexpensive, durable, functional, and incredibly effective. Here's another excellent gas-powered post hole digger from XtremepowerUS. It features a 2-cycle, air-cooled, 43cc engine. It's ideal for digging holes in soft soil-- rockier terrain can slow the engine down. The bit turns at an incredible 280 RPM for fast digging. 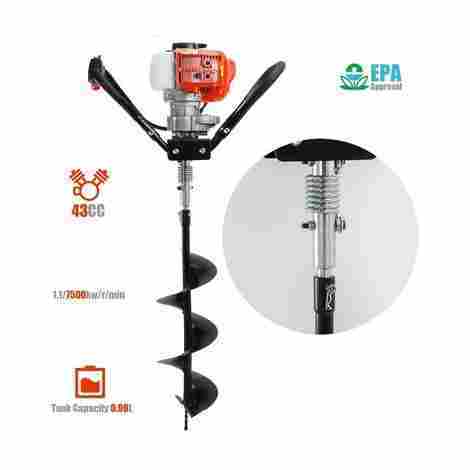 It comes with an auger 8 inches in diameter, but can be used with any auger 6 to 10 inches in diameter. This particular post hole digger from XtremepowerUS features foam grip handles. These work to prevent vibrations from affecting your arms and thus reduce fatigue, allowing you to work longer and more efficiently. This is perfect for those with chronic hand and arm conditions that are exacerbated by vibrations. Nothing worse than a gas-powered machine that's out of gas. Well, one thing that's worse is never knowing whether your gas-powered machine needs gas or not. It's like driving a car on a freeway with exits few and far in between without a fuel gauge. With this post hole digger, you'll always know how much fuel you have, so you'll always know when to refuel. If you need something powerful, something automatic, something durable and reliable, look no further. This isn't for those who are looking for a cheap tool to do simple things--but if you're a professional or are planning on digging many holes, this is well worth the investment. Maybe you're adamant about saving money. You don't care about anything else--you just want to get what you need done at the lowest cost possible. That's why you're looking to do the job yourself. And that's why you should take a look at this post hole digger by Seymour. It's as basic as it can get--it looks and works almost like any old shovel. But unlike a regular shovel, the blades on this post hole digger are constructed with carbon steel and are sharpened for easier digging. This post hole digger by Seymour features hardwood handles that are square cut and double bolted to the yokes for increased strength and durability. This also serves to strengthen the post hole digger at exactly those points on which the most stress will be focused. The fact that the blades are replaceable makes this an even more economical buy. That means that even in the event of wear and tear--which is bound to happen to the best of products--you won't be left with a useless object. In addition, the blades are triple riveted to yokes, which prolongs their usefulness, which means you won't even have to replace the blades for a long time. If you're looking to do some minor work around the house, this is the post hole digger for you. It's cheap, it's functional, it's durable--you can't get a better deal than that. Maybe you're looking for a manual post hole digger with less concern for cost. You just want something of quality, something you can use not just at home, but for work too. Well, The AMES Companies, Inc offers such a post hole digger. It features specially shaped handles made of fiberglass--specially shaped, in that they work actively to prevent knuckle collision as you dig. The last post hole digger on the list was a manual one as well, but it featured an almost shovel-like construction. This post hole digger from The AMES Companies, Inc, instead featured pointed, tempered blades. 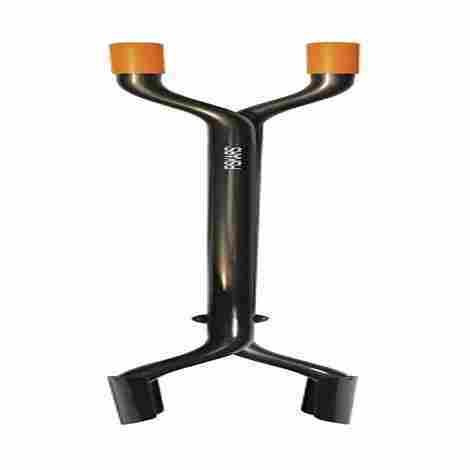 This allows for maximum and easy soil penetration. A lot of people prefer powered post hole diggers and for a good reason. Most manual post hole diggers are hard to use--and they require a lot of brute strength in order to use effectively. This one is designed to be easier, not just on the muscles, but on the knuckles too. Never again will your knuckles collide as you work. Its fiberglass construction means that it's naturally durable and will last you a long time. Its special design serves to make it useful and easy and painless to use. For all that it offers, it's actually quite reasonably priced. In short, it's a good buy. This is the first electric post hole digger on this list. It was built for small jobs, on soft to the tough soil. It comes with a 4 inch bit, but there is a 6 inch bit option as well. It's quite basic but it gets the job done. Sometimes you want to dig deeper holes. Some post hole diggers--especially those that are manual--have very specific limits. XtremepowerUS, however, offers several options to choose from that allow you to dig longer and deeper, according to your needs. It comes automatically with a 30-inch long auger. It may seem obvious, but electric post hole diggers do offer some advantages over gas-powered ones. For one thing, they're easier to maintain and keep running. Gas-powered ones require--you guessed it--gas. Without gas, they're useless. Electric post hole diggers, on the other hand, require just an outlet. It's a basic post hole digger--it'll get what you need to be done. It's not expensive, not for an electric post hole digger anyway. It's not cheap either. But it's reliable and durable and easy to use. So if that sounds like what you need, then the investment is worth it. Here's yet another electric post hole digger. This one, however, offers some additional features that may be better suited for the working professional rather than the hardworking layman. Its auger drill bit is constructed with high-quality manganese steel--this means it can withstand even the worst of working conditions. It can suffer through considerable impact, extrusion, and is fairly resistant to material wear. So if you're a professional and need to get things done quickly and efficiently, this is a must-have. Make no mistake: post hole diggers are dangerous tools if used improperly. Even manual post hole diggers can hurt you if you're not careful--the danger multiplies with gas-powered or electric post hole diggers. But this particular one from Goplus features an automatic lock switch; you have to hold it down while using the machine. If you let it go, it automatically stops, mitigating any injuries in the event that you lose control. This alone lands it on our list. Post hole diggers aren't easy to use by any means. The manual ones require strength and sweat; the electric and gas ones require balance and poise and alertness. This post hole digger by Goplus features an ergonomic handle design that serves to eliminate vibrations as well as slippage. This means you can wield it with the surety that you will have the proper leverage and stability when you need it. For all the features it offers, it really should cost more. Thankfully for you, it's quite moderately priced. If you need something powerful to get the job done, you got here--it's very much worth the investment. And now we're back to basics. This is another manual post hole digger that's perfect for everyday household needs--it's not at all recommended for professional use or for heavy-duty tasks. 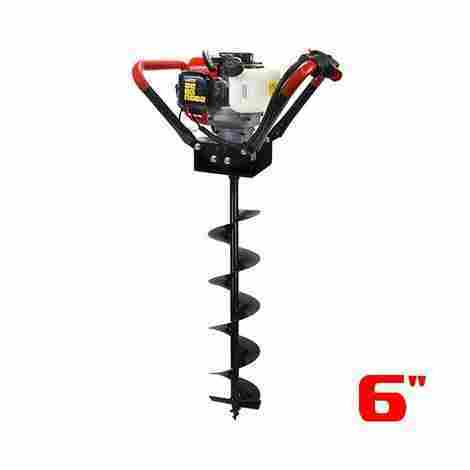 If you need to dig up fence post holes or in ground support mailboxes or decks, while staying with your tight budget, then this is the post hole digger for yours. This is an excellent feature, at least in terms of convenience. Usually, you'd have to dig and dig, stop, put the post hole digger down, and then measure the hole you've dug. If you're short of your mark, you keep going; if not you fill the hole back up. With this, you can measure as you go, making your life just a little bit easier. There's something for everyone here. 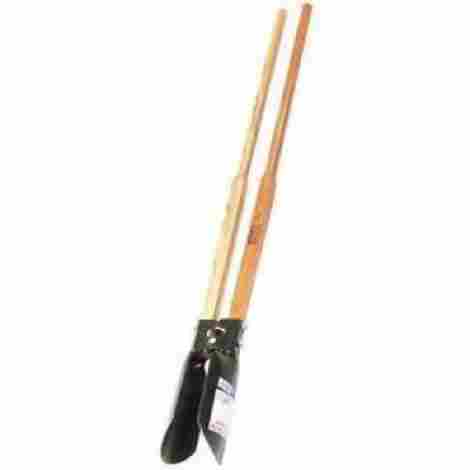 If you're looking for the most basic post hole digger you can find, stick with the hardwood constructed handles. If you want something more durable and naturally vibration resistant, you can opt for the fiberglass constructed handle. The hardwood constructed handle option is among the cheapest options on the market. The fiberglass one, on the other hand, is a bit more expensive. It's not as expensive as other post hole diggers--both manual and gas and electric power--but it's still considerably more than the hardwood option. In the end, if you're looking for a basic, reliable post hole digger, you can't do better than this one from Ames. This is another gas-powered post hole digger with a 2 cycle, 43cc engine. 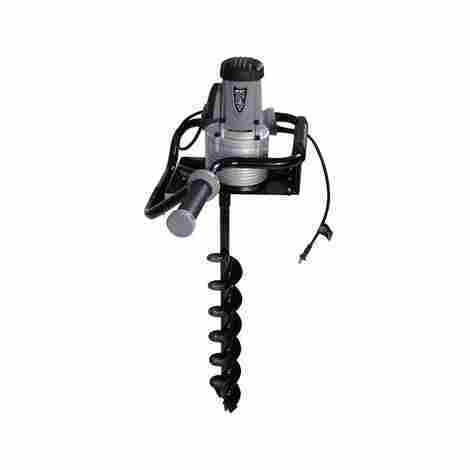 It's great for tougher soils, but it only comes with an auger with an 8" diameter. It does, however, offer extension options of 12 inches or 18 inches--it's really up to you, what you want, and what you need. This post hole digger by Earthquake is limited in some ways, but it's definitely durable and reliable when you need it to be. Anyone who lives in a dusty environment or is allergic to any number of airborne particles knows the unbelievable joy of a proper air filter. Air filters can mean the difference between life-threatening discomfort and good health. The same applies to post hole diggers that run on engines. Earthquake's post hole digger comes equipped with an industrial air filtration to keep dust out of the engine, which serves to increase its longevity and durability. There are few things more useless than dull blades. They don't cut cleanly enough to get the job done, but they're not safe enough to play with. And they render your tools defunct, as nothing more than paperweights. Well, Earthquake eliminates that problem--when your blades start wearing out, simply replace them and keep on digging. In a word: expensive. That's why it's near the bottom of this list. This product doesn't offer many options and is only really good for certain projects, but if those projects are what you need to get done, then this post hole digger is as good as any, and maybe even better. Almost all of the post hole diggers on this list so far have been designed for light-duty or medium-duty work. This one is certifiably designed for heavy-duty jobs that require tractors. It features a driveline that's equipped with a quick connect yoke that's built to fit on a standard 6 spline PTO. So if you're a serious professional, you need to take a good look at this post hole digger by the aptly named Dirty Hand Tools. Most post hole diggers are only good for certain things. Even their options are limited. 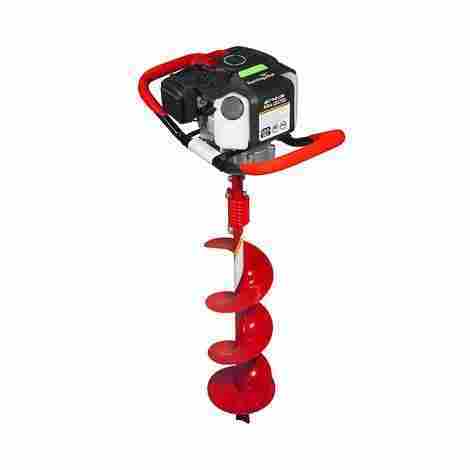 This one offers you a choice between 6, 9, 12, 18, and 24-inch augers. That means you'll always be able to get what you need doing done. A company that stands behind the quality of their products only serves to better their reputation in the eyes of their customers. 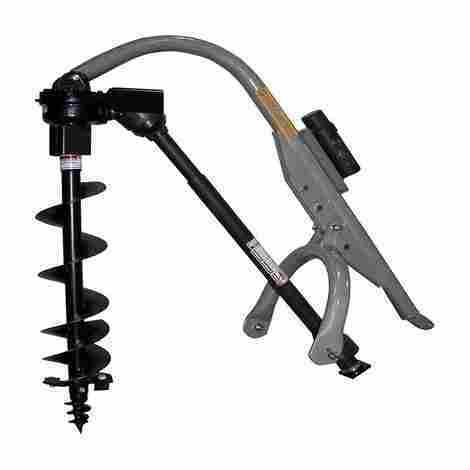 This post hole digger comes with a three-year warranty on its gearbox, its boom, its auger, and its A-frame. Additionally, it comes with a one year warranty on its driveline. If you're not a professional, run far away. This post hole digger is expensive--and it's useless to you if you don't own or have access to a tractor. It also doesn't come with an auger--you have to purchase those separately. But if you're a professional, you know that great, or even good, equipment doesn't come cheap. This one is no exception. As you can see, there are plenty of options to choose from when it comes to posting hole diggers. They’re all designed differently and serve different functions. Their prices, too, are all over the place–and their quality doesn’t necessarily have a correlation one way or the other with their prices. The quality of the post hole digger on the list depends almost entirely upon the way it is used and maintained. In other words, each does what it’s supposed to do and will continue to do so if it’s used and maintained properly. So you don’t have to worry, really, about choosing a dud. Your only job is to figure out which one suits your needs the best–because if you’ve read carefully, multiple post hole diggers on this list actually have very similar uses. The difference is in the details. Do you have a chronic hand or arm issue that’s exacerbated by vibrations? Well, then you may want to opt for some something with a fiberglass handle; or at the very least pay attention to grip constructions. Are you looking for easy and convenient measuring? You may want to opt for something with a ruler built right into its handle–that’s right, there’s one of those on this list too! But perhaps you don’t know enough about post hole diggers to feel comfortable making a decision. Well, don’t worry, just keep reading. Perhaps the following can help illuminate you in some small way. The most basic kind of post hole digger is a manual one–one that requires your own strength and body weight to use. This is perfect for those who are ardent do-it-yourself proponents. It’s also perfect for anyone looking to do some light work on their own housework like putting up an outdoor clothesline. Or putting up a fence–or anything, really, that a capable handyman (or handy-woman) can reasonably get done. Manual post hole diggers are recommended in cases like these simply because they’re cheaper and as effective as other, powered post hole diggers. And in some cases, they’ll even give you more control. They’ll help you also efficiently create a cylindrical hole that effectively secures posts. But you have to pay attention. Each of the manual post hole diggers on the list is designed differently. Some have a hardwood construction, some are made of fiberglass. Still, others have ergonomically designed handles, others have cushioned grips to prevent vibrations–others don’t have any special features in that regard. These all factored into the making of this list. And they should all factor into your choice. Remember, too, that these can only be used on soft soil–anything rougher than that and you risk bending or breaking the post hole digger altogether. You can even risk injury to your own person. As with any type of tool or equipment, you need exercise caution. There are two types of powered post hole diggers. One is powered by gas; the other by electricity. There are several of those on this list. Which you choose between them really depends upon you–functionally, they’re about the same. If you’re more comfortable with an electrical source of energy–remember, that you need an outlet for this–then go with the electric-powered post hole digger. Gas may be more convenient, but you must realize that gas is highly combustible. You need to be cautious with any post hole digger, but perhaps even more so with a gas one. One thing both types of powered post hole diggers on this list have in common is that they all come with augers. Augers generally make the actual digging easier. They even make it so you can dig to a much greater depth and the hole can be as deep as the shaft is long. The hole itself will be much more precise, more neat and clean, with a circumference that’s well-defined. The one thing you have to keep in mind though is that the size of the hole–how deep it is and what its circumference is–is entirely dependent on the size of the auger. Some of the post hole diggers on this list come with varying options which you should definitely take a look at–some come with more, some come with less, some may even come with just one option. That’s why it’s important for you to pay attention. Another thing you have to remember about powered post hole diggers–especially the ones listed here–is the fact that most of them are only made for softer soil conditions. If you happen to hit a rock or some other hard object, the odds are that the post hole digger that you’re using may fly out of your control. If that happens, you need to be careful–it can jerk or slip away from you entirely. One of the powered post hole diggers on this list actually comes with an automatic lock safety mechanism, which if you release it, shuts the post hole digger down. This can prevent serious injuries. If that’s a real concern for you, then you might want to focus in on that one. Remember also that in the event that you do hit a solid object, you not only risk breaking the auger, which wasn’t designed for rough terrain, but you also risk injuries via vibrations. Some of the powered post hole diggers on this list are actually designed in anticipation of such an event. 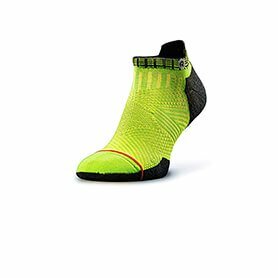 They come with anti-vibration handles or cushioned grips that reduce vibrations–all of this is designed to keep you safe and as pain-free as possible. Q: Are these good for all kinds of terrain? A: No. You’ll find that almost all of these are actually only really effective on soft soil. Hard rocks or rough terrain will actually send some of the powered ones out of your control–if you’re not careful, you may even end up hurting yourself. But there is one on this list that’s suitable for heavy-duty work. This one is meant to be hooked onto a tractor for some serious digging. It’s also, for what it’s worth, the most expensive item on the list. Q: Are powered post hole diggers better than manual ones, all prices being equal? A: That’s a decided no. As was mentioned earlier, manual post hole diggers offer more control–especially over the size of the hole you’re digging. Powered post hole diggers are limited in this respect: they can only dig holes in a certain shape, with a certain circumference, a certain length, all of this depends upon the length of the auger itself. It’s true, however, that the holes dug by a powered post hole digger are generally cleaner and much easier to dig. But you sacrifice versatility. Again, it’s up to you what you prefer and what you need to get done. Manual post hole diggers are also generally safer, in an obvious sense. If you lose control of a powered one, the consequences can be dire–a manual post hole digger is only as dangerous as you are stupid. So be careful! Q: How strongly do you have to be to use a manual post hole digger? A: You would think you’d have to be really strong. But that’s just not so. Even a healthy elderly person–man or woman–can effectively wield a manual post hole digger. Basically, if you can use a regular old shovel or a spade, you’ll have an easier time with a manual post hole digger. Remember, all of the manual post hole diggers on this list are made for certain situations, and certain situations only. That is, you can only use them on soft soil. Rough terrain will not only be hard on your body–it’ll be hard on the post hole digger too. Some post hole diggers can even bend or break entirely if pushed too hard. Again, you have to know what you need to do–only then can you make the right choice for you. Wonkee Donkee Tools, What is a Post Hole Digger Used For?